I am one lucky guy when it comes to work. I love what I do and I love the company I do it for. And apparently I am not alone. A recent report published by the Society for Human Resources Management (SHRM) found that 88% of employees are satisfied overall with their job, a number that has been on the rise over the last few years. That is a lot of engaged employees! While that number is a good indication to employers that their employee engagement strategies are working, unfortunately, it doesn’t mitigate the fact that “3 in 4 full-time employed workers are open to or actively looking for new job opportunities.”(CareerBuilder) So why the disconnect? Many employers have invested time and budget into engagement strategies, which judging by that satisfaction number, are working, but those happy and engaged employees are still contemplating a job change. Has all of this effort towards employee engagement been for naught? On the surface, it may appear that employee engagement strategies have not achieved the desired result of employee retention, but in reality this investment is changing the employee life cycle and what employee engagement truly means. A strong employer brand helps organizations engage potential employees and communicates the company’s values, mission, and culture. A well-defined employer brand is critical to attract the right candidates and helps to establish accurate expectations of life within the organization, which in turn improves future engagement. Employer branding and employee engagement have a symbiotic relationship: a strong employer brand contributes to an engaged workforce, while an engaged workforce bolsters an employer brand. Employer branding and employee engagement help to strengthen an organization’s relationship with its workforce, extending average tenure and improving productivity. (Download “Building Employee Engagement” to learn more about the benefits of employee engagement.) 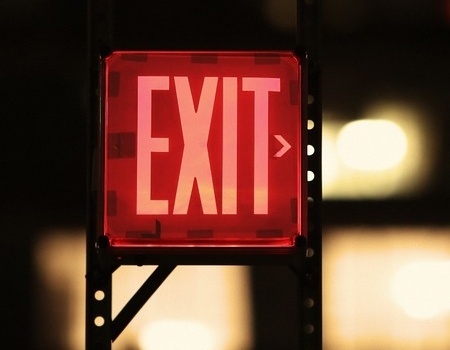 However, even with a highly engaged workforce, there will be turnover. There are a lot of reasons why a happy employee might leave. Whether they are relocating, switching careers entirely, or if they’ve reached the top of the org. chart for their function, employees leave, but that doesn’t have to be the end of their engagement with the employer brand. It might actually return more on your engagement strategy investments. When an engaged employee leaves an organization they take with them a keen understanding of the employer brand and will continue to sing its praises. Organizations that tap into this network of company alumni will realize new benefits from their engagement strategies in the form of new sources of talent and customers. Employer Brand Ambassador: Your engaged alumni have been through the hiring process, they’ve been screened, experienced onboarding, and have been active members of the workforce. When they move onto new challenges they will continue to embody your employer brand. When they make new connections in their new organizations they will be able to speak positively about their time with your organization and might send potential new hires your way simply by setting a good example. Employee Reference + Referral: Alumni have a unique understanding of what it takes to be successful in an organization. If they are referring a colleague to a company or if they have agreed to be a professional reference for a potential new hire, chances are they believe this candidate will be a fit for the organization. An engaged company alumni network can be a powerful recruiting tool. They’ve been on the inside and can speak to the unique culture at an organization which helps to both attract candidates aligned to your organization’s goals and screen out those who aren’t. What better source of information on a product or service than a former employee? They don’t have much to lose by being honest and know the offerings very well. When I have been in the market for a new product or service, I look to my personal network to see if I know anyone who has worked a provider. Keeping your employee alumni network engaged with your organization will empower them to speak truthfully and intelligently on your new products or services. People also tend to want to do business with companies that treat their employees well. If a colleague continues to promote a former employer’s brand with a smile, it is a good indication that the company cares about its employees and will also care about its clients. Investing in employee engagement will continue to be critical to the success of every organization, what that looks like, however, will continue to evolve. 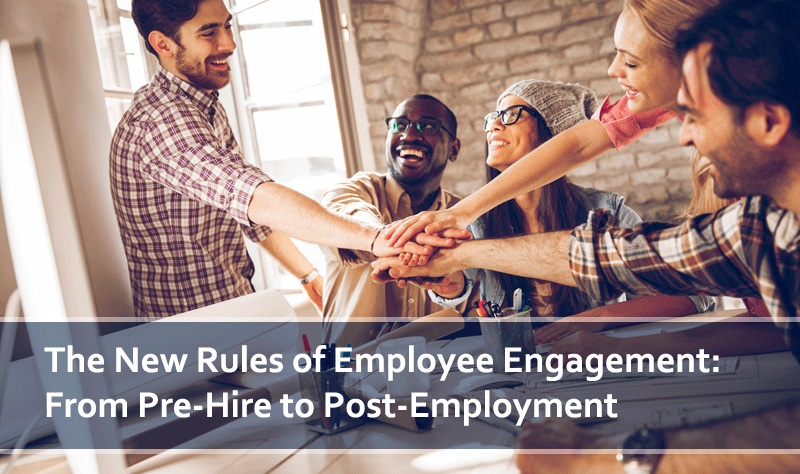 Extending engagement initiatives to pre- and post-employment will help organizations tap into their employee networks in new and exciting ways that will yield powerful business results.